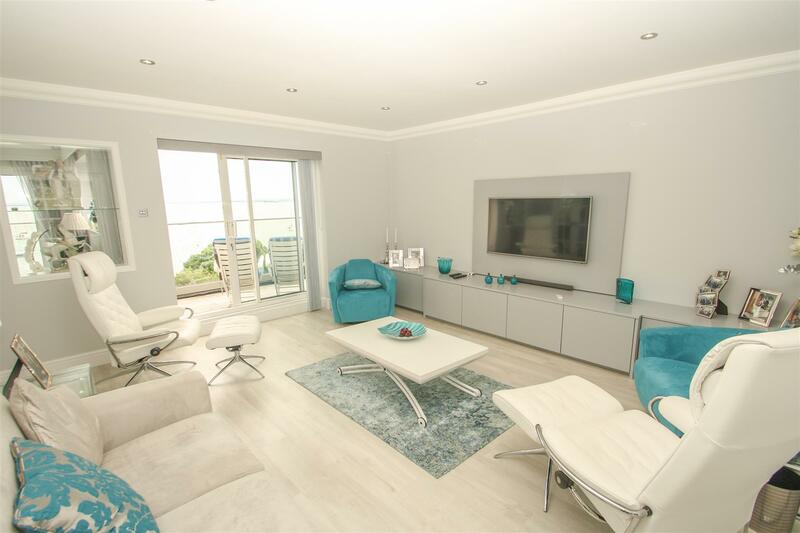 Spectacular Leigh seafront apartment in the highly regarded Grand Parade, an elegant and prominent road with elevated Estuary views. 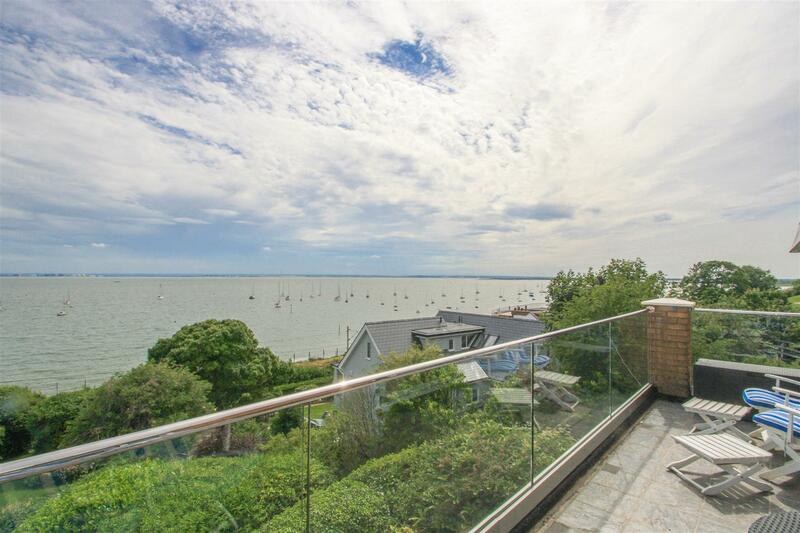 Grand Parade is just a short stroll away from the fashionable Leigh Broadway, picturesque Old Leigh and convenient for Chalkwell rail station. 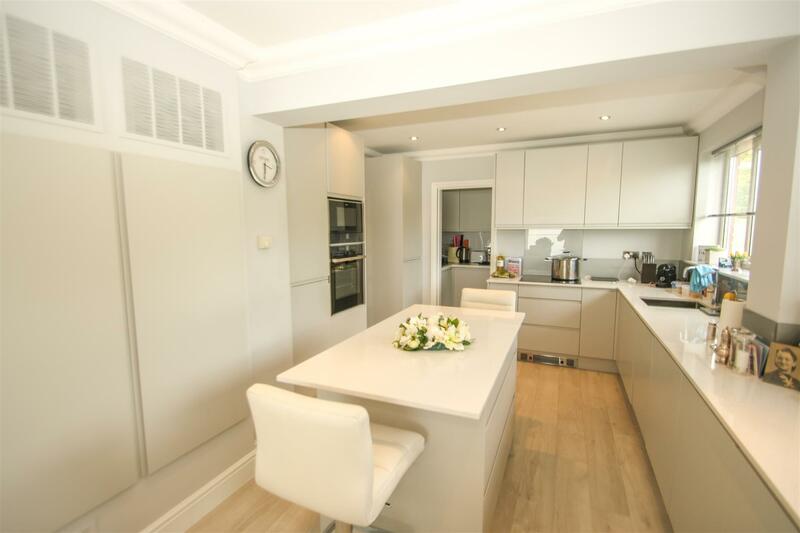 The apartment offers stunning high specification living throughout with modern features and neutral decor. 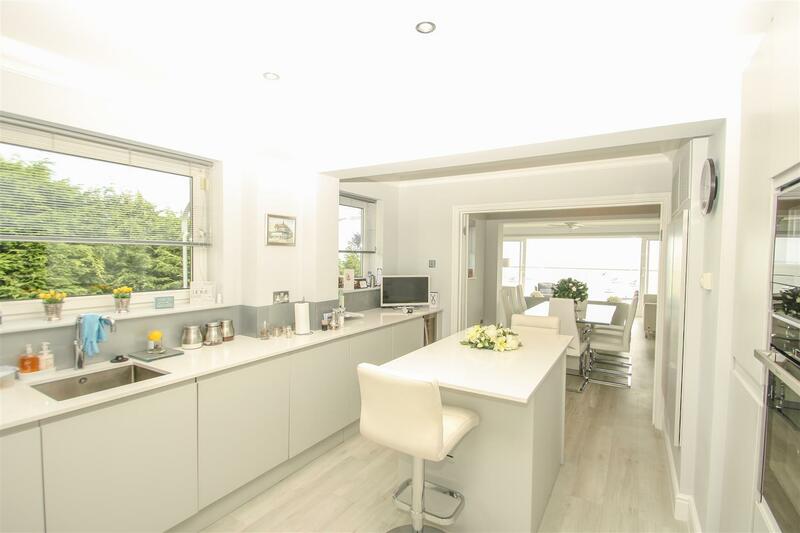 Spacious open plan lounge/diner with access out to triple aspect balconies, modern kitchen breakfast area with essential utility area. 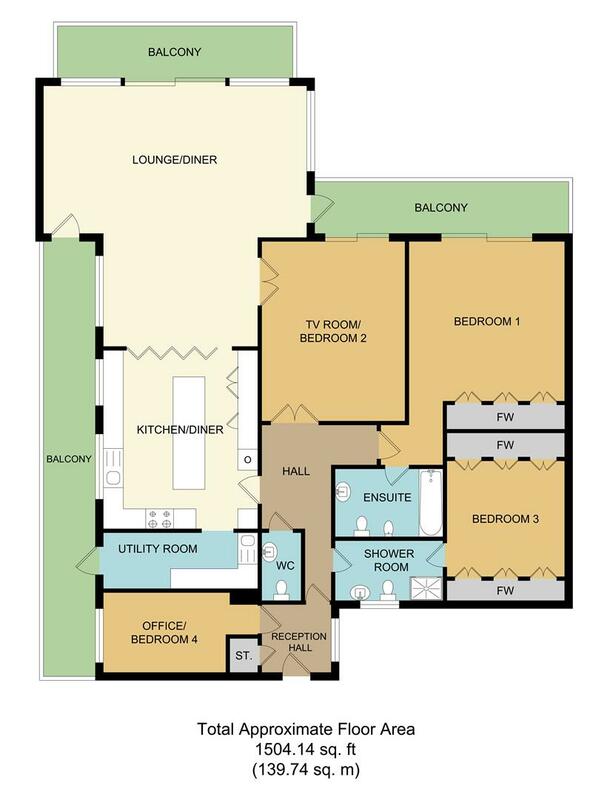 Master suite with storage and en-suite, large second bedroom/second reception, two further bedrooms, shower room and separate WC. 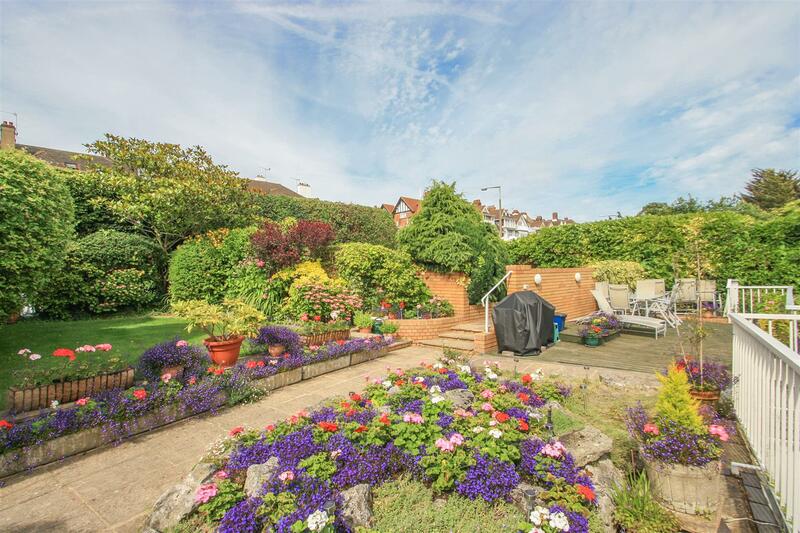 Private, secluded landscaped gardens, large decking area with storage and gated parking compound for 4/5 cars. Freehold included. Double glazed windows and sliding doors to front and side aspect offering uninterrupted views of the Estuary and coastline. 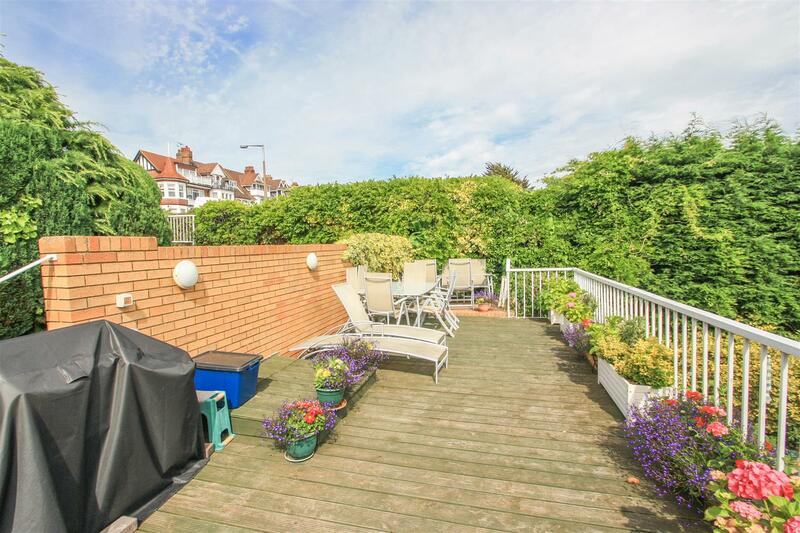 Access to several south facing balconies, stunning vista & ambience. 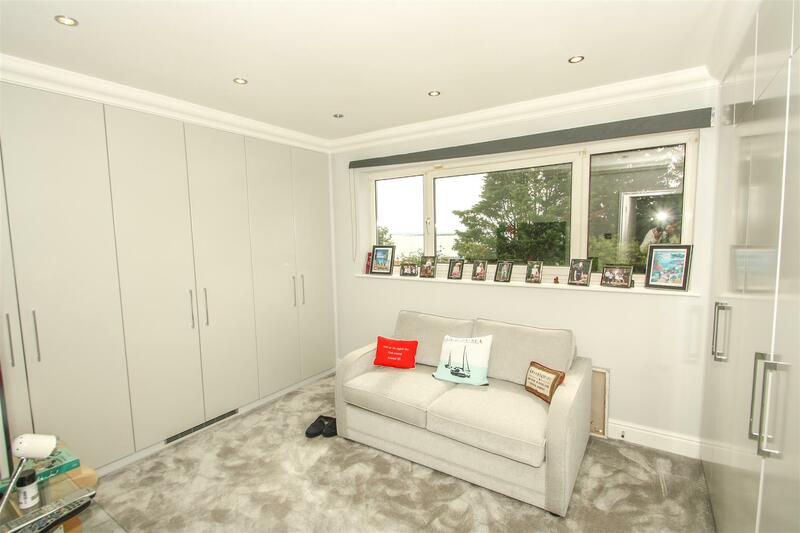 Coving cornice, ceiling fan, bespoke curtains, chrome sockets, warm air vent & Karndean flooring. 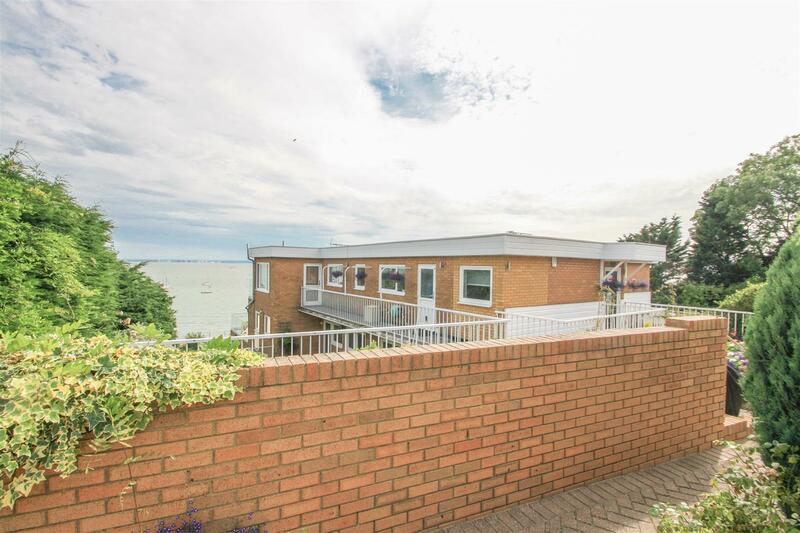 Stunning south facing outside space with views of the Estuary and coastline. Glass screening with chrome handrail. Open plan to living area with Estuary views. Double glazed window to side aspect. Georgian folding doors to kitchen which can be closed to separate the two rooms. 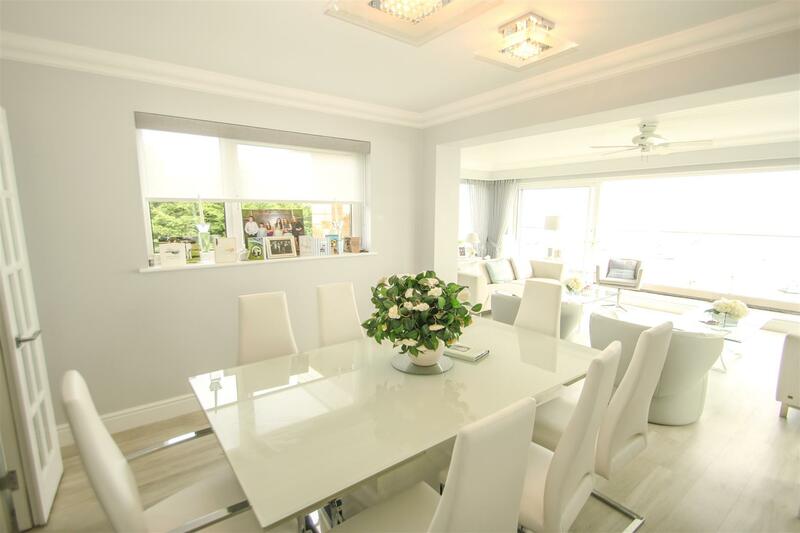 Lovely entertaining area which also links to lounge area. Ornate coving cornice, chrome power points & Karndean flooring. Double glazed door to side aspect. Wall & base kitchen units, Quartz work surfaces, stainless steel sink, space for fridge freezer, washing machine & tumble dryer. Power points & Karndean flooring. 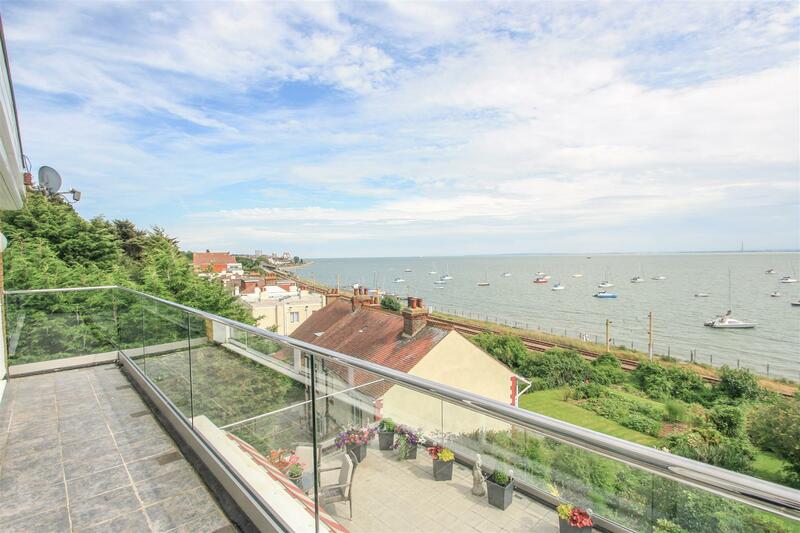 Large double glazed sliding doors leading onto balcony with glass screen & chrome handrail offering amazing Estuary views. 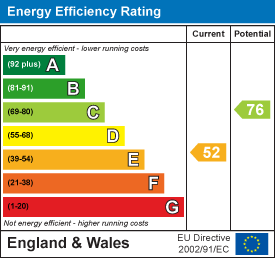 Ceiling fan, inset spotlights, ornate coving cornice, fitted wardrobes with mirror facade. Warm air vent, chrome power points & fitted carpet. 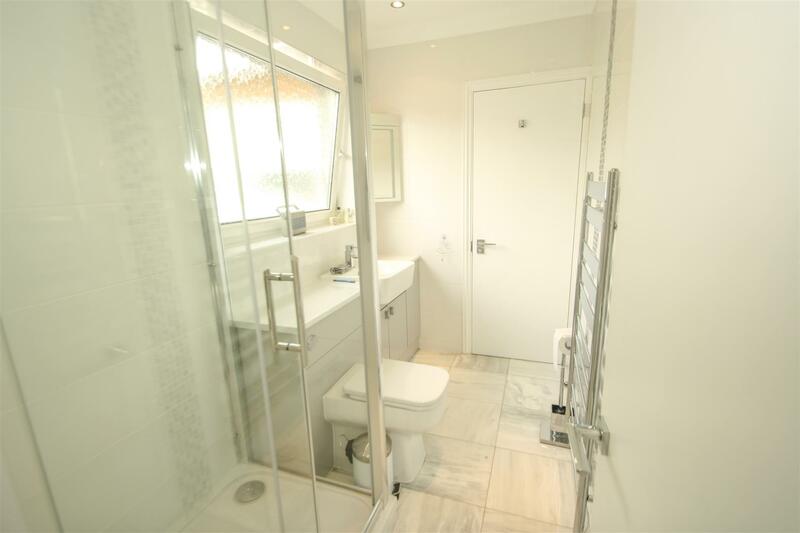 Inset spotlights, panelled enclosed bath with glass shower screen & shower, low level WC, bidet, vanity style wash hand basin, chrome towel rail, fully tiled walls & flooring. Bright & airy room currently used as a television lounge. 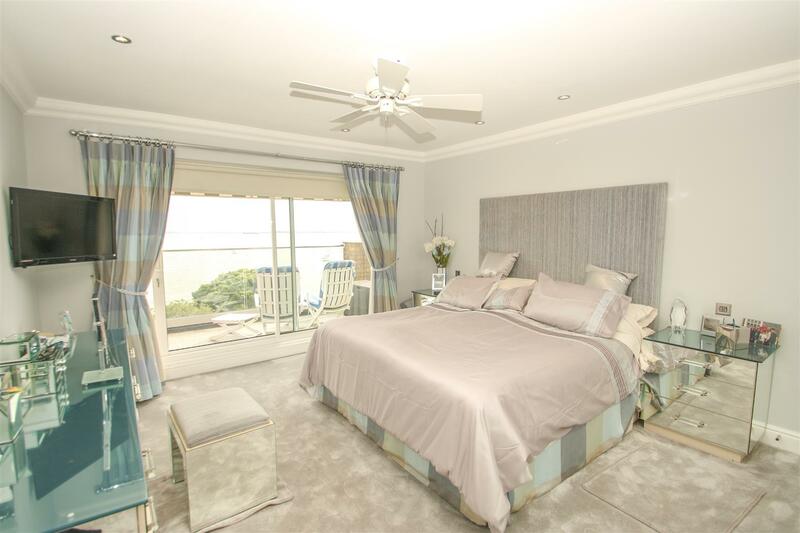 Double glazed doors providing beautiful views of the Estuary & access to a south facing balcony. Coving cornice, inset spotlights, power points & Karndean flooring. Double Georgian doors lead back into hallway. 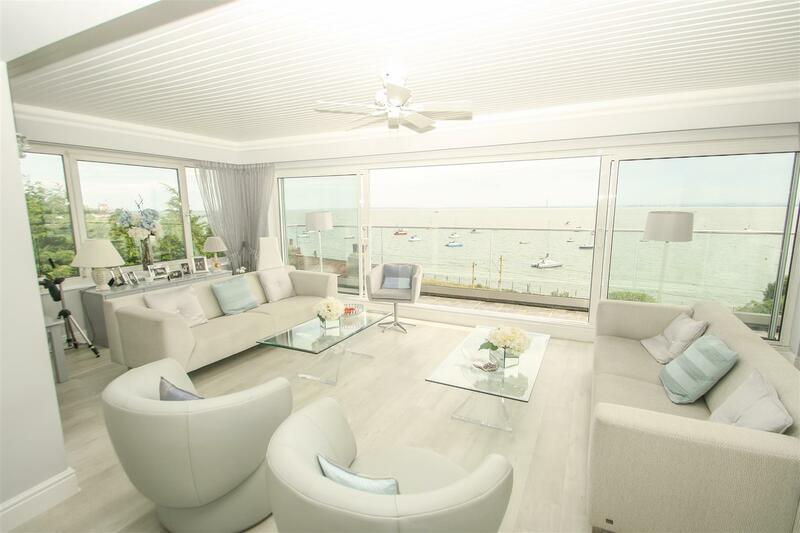 Double glazed window to side aspect offering views of the Estuary. Ornate coving cornice, fitted wardrobes to both sides, warm air vent, television point, chrome power points & fitted carpet. Double glazed opaque window to rear aspect. Coving cornice, walk in double width shower, vanity style wash hand basin & low level WC. 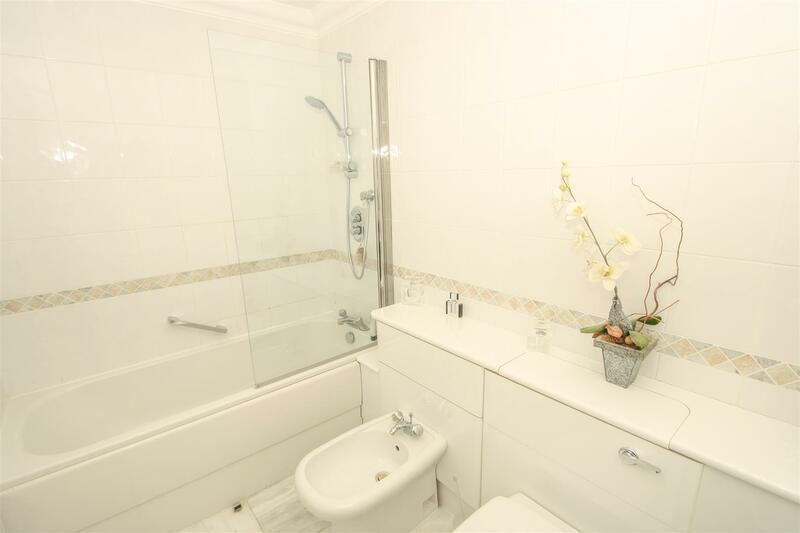 Chrome towel radiator, fully tiled walls & marble flooring. Sky light providing natural light. 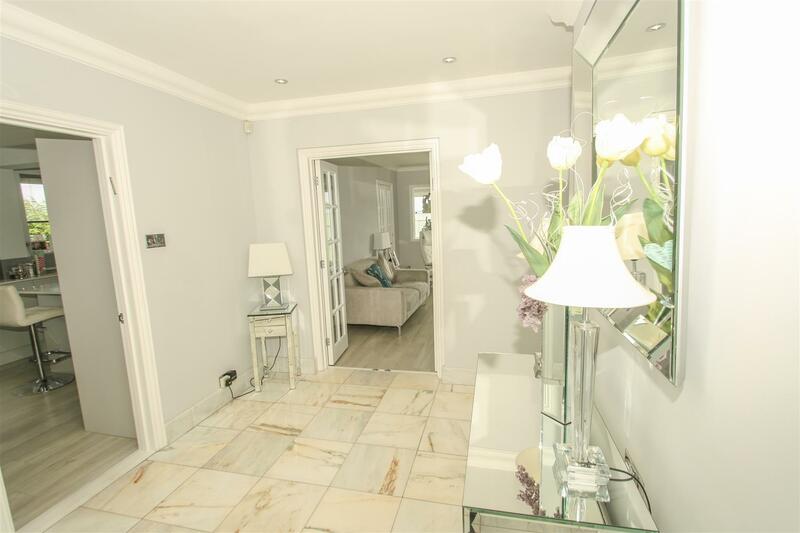 Inset spotlights, coving cornice, low level WC, pedestal wash hand basin, fully tiled walls & flooring. Double glazed window to side aspect. Ornate coving cornice, inset spotlights, fitted furniture for desk, storage area, warm air vent. 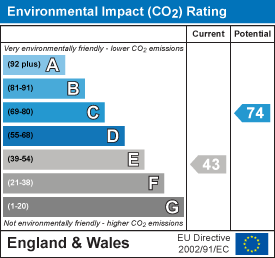 Power points & Karndean flooring. 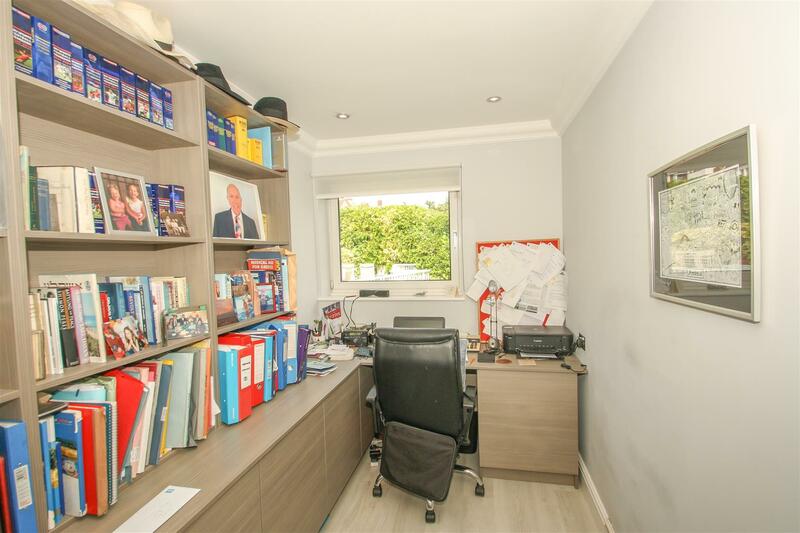 The property boasts a private landscaped garden which is beautifully secluded by established trees, a pleasant manicured lawn area, flower a variety of flower beds. Access to large decking area which offers further storage space underneath (accessed via a trap door). Enjoying views of the Estuary from the private garden. Outside tap, lighting. Gated parking compound with space comfortably for 4/5 vehicles. Owned with freehold along with the garden area.